Home » Notary » What is a mobile notary? A mobile notary is a Notary Public whom is able to travel to any location that would require a mobile notary. This type of work helps to benefit those that find themselves in a different state or city than where the notary needs to occur. Mobile notaries allow people in need to hire an individual in the same jurisdiction as the assignment. Eternal notary is the mobile notary Dallas has been waiting for. We here at Eternal Notary try and answer your question of what is a mobile notary by showing you exactly how we can add value to you. We are able to drive out to any location as soon as you needs us to. That is one great thing about Eternal Notary, most notary services will have you waiting until it is in their schedule to go out there. Our only schedule is your schedule and we will take care of any notary signing that you need us to. What is a mobile notary if not flexible? The greatest asset is a reliable one. We provide more than just excellent customer service we provide a long term commitment to their happiness and expectations. If you are in the Dallas, Fort Worth or Irving area be sure to get in touch with us. So what is a mobile notary again? In summary, to fully answer what is a mobile notary? I will explain, a notary public that authenticates documents will then transport them self to a desired location where either the client or the client’s job will be waiting. 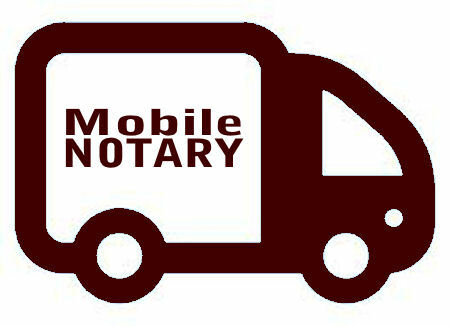 Mobile Notary public will then notarize the documents. They will have to verify the identities of the people signing the documents. Once verified, the mobile notary’s job is complete. How to become a notary in Texas online is a different story though. Eternal notary is here to make the process as easy as possible for you, when choosing which mobile notary is right for you. Eternal strives to be the best and your number one choice for North Dallas and beyond mobile notary.